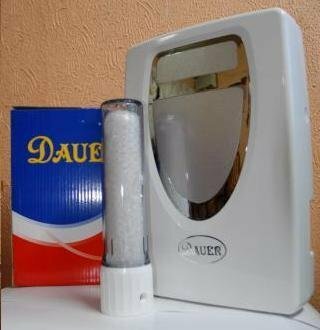 Dauer 101 4 Filter ★ Energy Water System Johor, Kluang, Malaysia supply ★ Azure Purewater Marketing Sdn.Bhd. 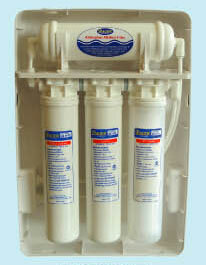 ~ Ceramic filter for removal of suspended solids,dirts and bacteria such as typhoid,cholera ect . ~ For removal of fine dust and rust particles,allows high flow efficiency with low pressure drop. ~ This high porosity GAC absorbs harmful organic chemical such as residual chlorine,enpleasant odors,organic compounds,colours,heavy metal (copper,lead,mercurry etc),trihalomethanes (THMS) and other chemicals by adsorption. ~ Silver carbon filter inhibits the growth of bacteria within the filter media bed,the addition of silver in the GAC of this filter has excellent performance of Anti-bacteria. ~ Alkaline filter abundance of negative ions for oxidation reduction in human body,retards ageing process,detoxifies body toxins.